Bentley Publishers is a transportation oriented publisher with the goal of producing books with lasting value. We are located on Massachusetts Avenue, in Cambridge, Massachusetts between Porter and Harvard Squares and we invite you to visit our bookstore located on the first floor of our offices. Research and development for the MINI Cooper Service Manual: 2002-2006. What other types of books does Bentley Publishers publish? In addition to our repair manuals, Bentley Publishers offers a variety of other kinds of books. Below you can find out more information about each one. If you're looking for guidance on preventive maintenance, off-road set ups, performance upgrades, or planning a frame-off restoration, nationally recognized truck and off-road expert Moses Ludel will show you how. The history, advice, information, coaching, and hundreds of step-by-step procedures contained in these books will make it easy to become a more self-reliant and trail-smart truck owner. For BMW, Alfa Romeo and Chevrolet enthusiasts, Bentley offers this impressive new series on buying, maintaining, preserving and appreciating these vehicles. The BMW Enthusiasts's Companion draws on the collective experience of members of the BMW Car Club of America, and Pat Braden's Alfa Romeo Owner's Bible is packed with critical information on servicing these sometimes demanding cars. The Chevrolet By the Numbers series is an essential resource for anyone restoring a 1955 - 1975 Chevy. Written by professional drivers for fellow racers and enthusiasts, these driving books give you the insight to push your own performance, understanding of car control, and racing tactics. Tarruffi's The Technique of Motor Racing is the classic in its field, cited by both Fangio and Lauda as key books in their personal development as championship drivers. Paul Frère's Sports Car and Competition Driving offers up-to-date engineering insights into vehicle dynamics and car control. Don Alexander's Think to Win gives you the tools to remove the mental barriers to faster speeds and more masterful driving. What are the trade-offs in designing aerodynamics for a winning race car? What is more important, down force or minimum drag? Veteran race-team aerodynamics expert, Prof. Joe Katz explains the state of the art. Author Corky Bell explains Turbo Systems. The Performance Engineering Library offers books that explain the basic and applied engineering behind the systems that give a racing team the edge. Robert Bentley offers the full range of Bosch Technical Instruction Booklets, Wall Charts, and the world-famous Automotive Handbook. Although Bosch is one of the leading component and system suppliers to the auto industry, this library focuses on explaining the engineering behind automotive systems, new and old. Engineering that is applicable to all autos, whether they carry Bosch systems or not. Check out this rich offering of Bosch technical literature, prepared with Germany's famous level of attention to engineering detail. Whether you're a dedicated enthusiast, serious automotive engineer or designer, these books will provide you with definitive, useful information on the design and building of high-performance automotive systems. 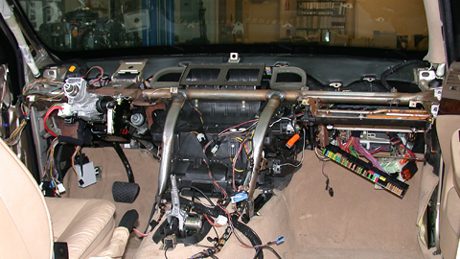 FI and Engine Management is one of the most rapidly changing fields in auto technology. 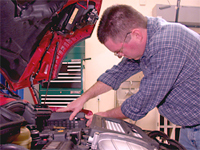 With the advent of the Federal EPA's On-Board Diagnostics II (OBD II) standards, these systems continue to evolve. Charles Probst explains how these systems work and gives you the conceptual training necessary to work on this new generation of technology. Chuck is nationally recognized both as an authority on electronic engine management and as a leader in technician training. His books are highly readable and rich in detail. Each contains descriptions of system operation, engine management strategies, troubleshooting, repair, and high performance modifications. Text is backed up by hundreds of schematics, illustrations, and photographs.